Who are the two witnesses during the first woe? Revelation 11:3 - And I will grant authority to my two witnesses, and they will prophesy for 1,260 days, clothed in sackcloth. Since these two witnesses seem to be a important part in the "first woe," I wonder why they aren't named. Are they someone whom we already know, or are their identities to be determined when the event occurs? Why was there silence in heaven when the seventh seal was opened? Because there was no preceding silence for the first six seals, I question why there was silence for the seventh one. Did it have something to do with the extreme magnitude of the seal's content, or was it for dramatic effect? Perhaps another factor could be considered. Three of the items of my favorites list that have been influenced by the Bible are the sitcom Frasier, the poem "Playing the Niggard," and the book To Kill a Mockingbird. All of the Biblical influences on these works come from the New Testament, but more specifically, they come from the Gospels. These Biblical literary techniques also have to do with the sayings and mission of Jesus Christ. What was the thorn in Paul's flesh? messenger of Satan to harass me, to keep me from becoming conceited. I always heard about Paul's thorn when I was a young girl in church, but I never read for myself the exact passage, which notes that the thorn was given to Paul to prevent him from becoming conceited, a fact that I didn't know. Who is this "messenger from Satan?" Is he a literal messenger, or is his to be taken figuratively? Exactly what was the thorn in Paul's flesh, and why didn't Paul specifically state what that thorn was? Why did Paul liken charitable deeds toward an enemy to "heaping burning coals" upon his head? Forming questions for Romans was more difficult than the other books I've read so far, but when I read this verse, I thought it was strange that Paul would compare being charitable to one's enemy to putting burning coals upon his head. Obviously, offering sustenance to an enemy is an honorable gesture; so why would Paul say that doing this would "heap burning coals on his head?" Shouldn't it rather say something like, "Feeding your hungry enemy is like eliminating walkers that surround your close friend who happens to be in a death match against his own brother?" This makes more sense because feeding a hungry person and killing zombies both result in a saved life, but putting burning coals on someone's head only leaves a bald spot. Perhaps Paul's phrase about hot coals could be a figurative interpretation because, as we have already established in class, not 100% of the Bible's words are meant to be taken literally. Why did the Jews seize and beat the ruler of the synagogue after Gallio refused to judge their complaints with Paul, and why did Gallio ignore this action? Acts 18: 12-17 - But when Gallio was proconsul of Achaia, the Jews made a united attack on Paul and brought him before the tribunal, saying, "This man is persuading people to worship God contrary to the law." But when Paul was about to open his mouth, Gallio said to the Jews, "If it were a matter of wrongdoing or vicious crime, O Jews, I would have reason to accept your complaint. But since it is a matter of questions about words and names and your own law, see to it yourselves. I refuse to be a judge of these things." And he drove them from the tribunal. And they all seized Sosthenes, the ruler of the synagogue, and beat him in front of the tribunal. But Gallio paid no attention to any of this. Like a few of my blogs thus far, this question stems from a story that I don't remember reading previously, although I've read the entire Bible. This story intrigued me because what seems to be an uneventful happening quickly escalates into a dramatic scene. When the Jews brought a case before Gallio, the Roman proconsul, Gallio refused to judge them, so the Jews angrily seized and beat Sosthenes, the ruler of the synagogue, but Gallio ignored their action. Why did Gallio refuse to judge Paul? Why did the Jews beat Sosthenes when Gallio turned them away? And why did Gallio ignore the beating of Sosthenes? Why did Pilate refuse to change the inscription above Jesus' head? John 19:21-22 - So the chief priests of the Jews said to Pilate, "Do not write, 'The King of the Jews,' but rather, 'This man said, I am King of the Jews.'" Pilate answered, "What I have written I have written." While I know that I've read the entire Bible, I don't ever recall having read this passage. Matthew, Mark, and Luke certainly don't go into this much detail about the inscription above Jesus' head, so why does John? I wonder if Pilate had a reason for refusing to edit his inscription, or if he was just tired of dealing with the demanding Jews. Why did Jesus fast after his baptism instead of immediately beginning his ministry? 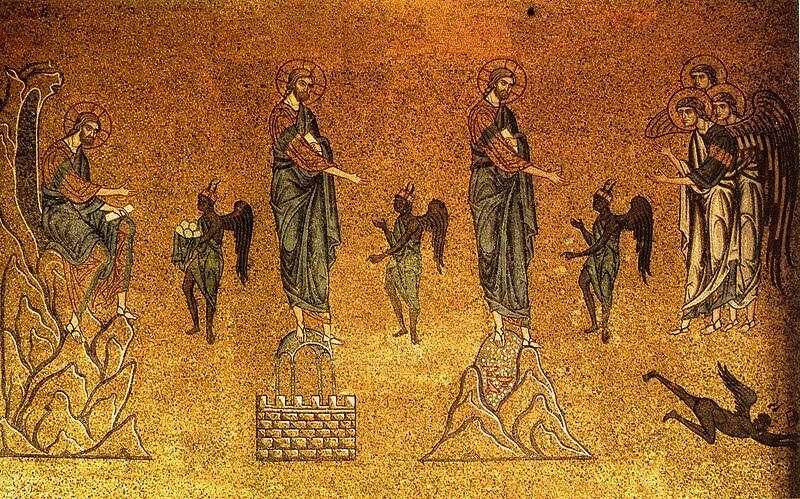 Luke 4: 1-2 - And Jesus, full of the Holy Spirit, returned from the Jordan and was led by the Spirit in the wilderness for forty days, being tempted by the devil. And he ate nothing during those days. My question for this week is also a question I had for Matthew and Mark. I had never given much thought to why Jesus fasted and was tempted. It was just something I knew that the Bible said he did, and I didn't question it. But, as an action performed by the protagonist of the gospels of the most widely sold book, I now must ask, "Why?" Who was the man who shed his linen cloth? Mark 14:51-52 - And a young man followed him, with nothing but a linen cloth about his body. And they seized him, but he left the linen cloth and ran away naked. forget about the linen cloth guy. Maybe it's because he's only mentioned in Mark, or maybe because he's a taboo subject in Sunday school lessons, but this man is not present in my mind when I picture Jesus' arrest. When I read this passage previously, I said, "That's weird" and moved on; but now that I'm reading the Bible as a piece of literature, I feel compelled to find out why this nudist is included in the story. 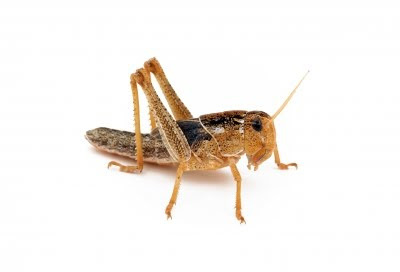 Were locusts and honey parts of the common diet? Matthew 3:4 - Now John wore a garment of camel's hair and a leather belt around his waist, and his food was locusts and wild honey. Dining on wild honey might not be so bad, but who would want to put a prickly-legged, jumping, live locust into his mouth? Apparently, John the Baptist preferred to do it.. Yuck! Being in church all my life, I've always known that John the Baptist ate locusts and honey, but as I study the Bible as literature, I have to know how each detail fits into the story that I'm reading, so, naturally, when I read about this strange diet, I had to ask "why?"